Are you searching for a way to replace missing teeth? Restorative dentistry procedures from Dr. Narita can revitalize your smile and lifestyle! Amazing Smiles has helped patients in the Allen area since 1997, and we’d be happy to assist you as well. With our treatments, you could be smiling with confidence once more in no time! Please call us today to schedule your appointment. Do you need a way to replace a missing tooth? With a dental implant, it’s possible to recreate the entire structure of your pearly white, root and all! A dental implant is a small, titanium screw that is placed into the socket of the missing tooth. Over time, the implant bonds with the jaw bone and gums to create a stable foundation for a brand-new artificial tooth. Once your mouth is healed, Dr. Narita will attach a permanent crown for exceptionally realistic results. Another preferred restorative dentistry method for replacing one or more teeth is to use crown and bridge therapy. A bridge can take the place of one to three missing teeth in a row if there are still existing teeth on either side of the gap. Dr. Narita will fit you for a custom-made bridge, and you’ll simply return to our Allen office once it’s finished to have the new piece placed. We’ll attach the bridge firmly to your smile by using crowns to bond it to the adjacent teeth. 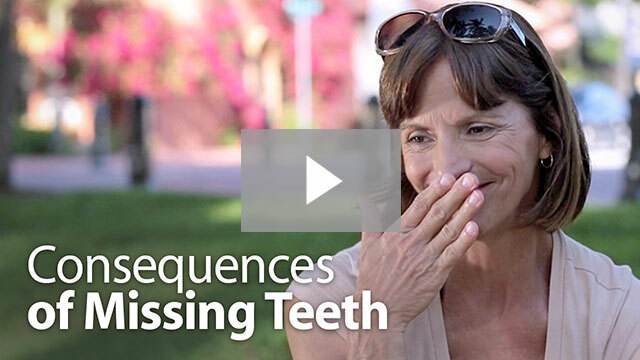 This restorative dentistry measure is stable and helps return security to your smile. Alternatively, single crowns are available to treat severe tooth decay, dental injuries, and more. For a more traditional replacement option, come to Dr. Narita to receive well-fitting dentures and partials. These tried-and-true restorative dentistry prosthetics are removable, which allows for easier cleaning and overall maintenance. A partial replaces one to three teeth in a row, and full dentures can replace all of the teeth along the upper gums, lower gums, or both. If you have a persistent, painful toothache, you may need a root canal. This restorative dentistry procedure is necessary when decay-forming bacteria have infiltrated the tooth and caused an infection. Once a tooth has become diseased, the only option to avoid losing it altogether is to undergo root canal therapy. This restorative dentistry technique involves going into the layers of the tooth to remove the bacteria. Tooth-colored fillings are the new norm when it comes to treating cavities in patients of all ages, and for good reason. They offer several advantages when compared to traditional amalgam fillings, the most prominent being their aesthetic appearance. Tooth-colored fillings are crafted from high-quality composite resin, which can be shaded to create an ideal match for your natural enamel. Once the filling is in place, it’s virtually impossible to distinguish it from the rest of your natural smile. Composite resin is also a much more flexible and conservative material than amalgam metals, which means Dr. Narita is able to preserve more of your remaining healthy tooth structure when placing it. This is much better for the tooth’s strength and your overall oral health as well. Additionally, because of the lack of metals, tooth-colored fillings are far less sensitive to changes in temperature, making them more comfortable overall. Please call us today to arrange a restorative dentistry consultation. Dr. Narita sees patients from McKinney, Lucas, Plano, and Fairview at his Allen office. If this will be your first time at our practice, please follow the instructions listed on the new patient page.